Are you’re looking for authentic Gulf coast seafood, but don’t quite have the time to travel to the Gulf for a quick bite to eat? Look no further than Kudzu Seafood Company on Third Street in downtown Macon. Kudzu Seafood Company, affectionately known as “the coast of Middle Georgia”, is the place to get quality seafood dishes in downtown Macon. For those of you who have been, I’m sure you’re getting hungry just thinking about it; and for those who haven’t, you need to check it out! Kudzu's owners, Lee Clark and his wife Kelly Wrigley, have brought true Gulf coast flavor from Lower Alabama to downtown Macon. Breads, seasonings, and sauces are made in house with ingredients sourced from the Gulf coast region. The menu has something for everyone, including Jambalaya, fried shrimp, Cajun seafood tacos, mouthwatering Po’ Boys, and much more. This place is more than just a great menu though. When we first arrived and walked inside, the smoky, seafood smell and lively conversation told us we were in the right place. We were greeted by Lee, and promptly seated by his friendly staff. Our waitress was extremely knowledgeable about the food, and was ready to rattle off unique specials, as well as answer any questions we had. As we read the menu, we saw we had the option of ordering from their vast selection of beer to pair with our food. And let me tell you, this place has great beer for a seafood company. With 30+ Southern craft beers to choose from you can’t go wrong. After our drinks arrived, the appetizer followed just a couple minutes later. Our first taste was the sweet firecracker shrimp topped with sweet Remoulade sauce and green onions. It disappeared quickly, and we eagerly waited for our main dishes to arrive; and once they came, we weren't’t disappointed. We chose to share everything we ordered which included Jambalaya, BBQ shrimp and cheese grits, fried shrimp, and Cajun tacos. The Jambalaya was Creole style, and had the perfect amount of shrimp and sausage in every bite. The shrimp and grits were incredibly well seasoned and even had added pieces of ham, a tremendous take on a southern classic. Moving forward, we dove in to the fried shrimp basket, trying them with Remoulade sauce and cocktail sauce, and let me tell you, you can’t go wrong with either choice. Last, we dived into the Cajun tacos, and though we were getting full, we couldn't stop. Our tacos were stuffed with shrimp, Andouille sausage, Cajun slaw, and topped off with Remoulade sauce. Honestly, if there had been more than the 2 tacos we had, I don’t know if we would have been able to stop eating. Between the genuine Gulf coast seafood, $4 Southern craft beer on Wednesdays and Thursdays, special dishes like Fried Crab Claws (which you probably can’t find anywhere else in Middle Georgia), top-notch service, and fantastic prices, you’ll be hard pressed to come up with an excuse not to try this place out. 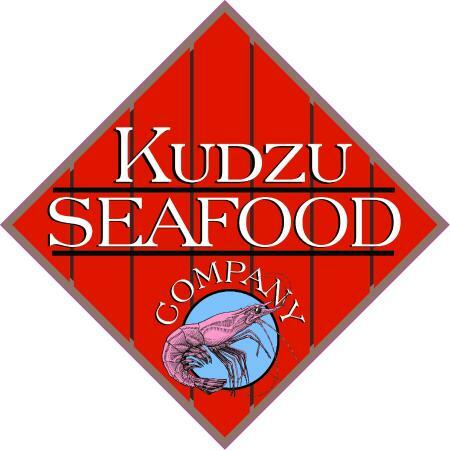 Haven't been to Kudzu Seafood Company? Take a look at their menu HERE. Kudzu Seafood Company really is the place to be any night of the week, and once you go, you’ll be wondering why you didn't stop in sooner.